Disclosure: I received craft products from Lakeshore Learning. All opinions are my own. March is National Craft Month and Kenzie has been full-steam crafting away. 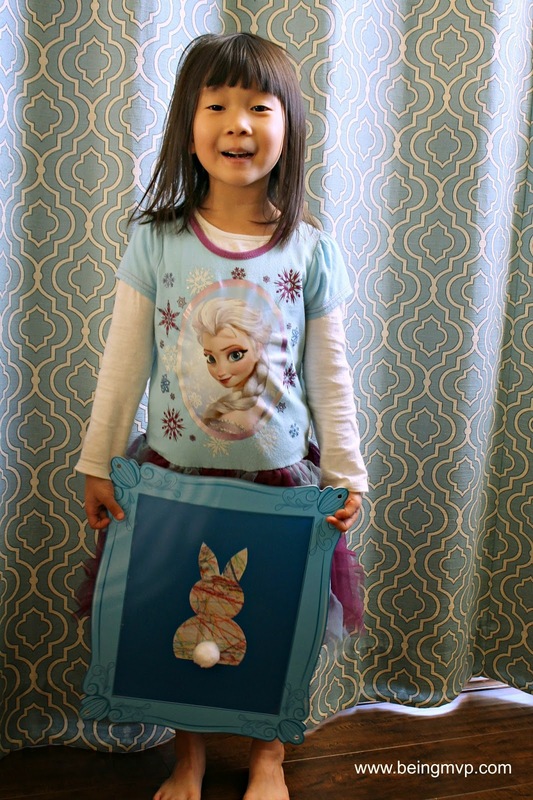 She is enrolled in extracurricular art class (thanks to grandma) and we decided to make a sweet Easter craft that is perfect as decor or gifting. Lakeshore Learning is the place to go for educational materials and they do not disappoint in the craft supply area. 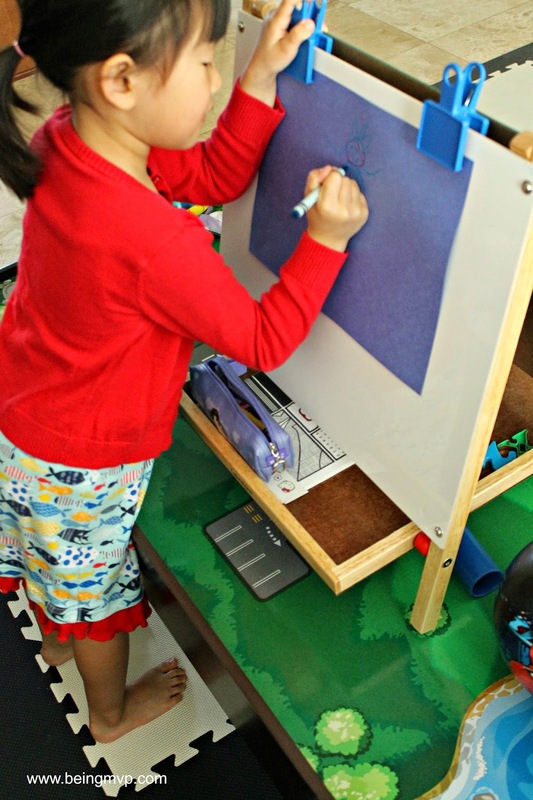 The 3-way tabletop easel has been a daily fixture on the train table since its arrival and used for drawing, painting and learning to read/write. It comes with handy clips so you can clip construction paper right onto the board for your little artist to get creative. The portability is awesome because you can place it right onto of any table or floor and even take it along when traveling. 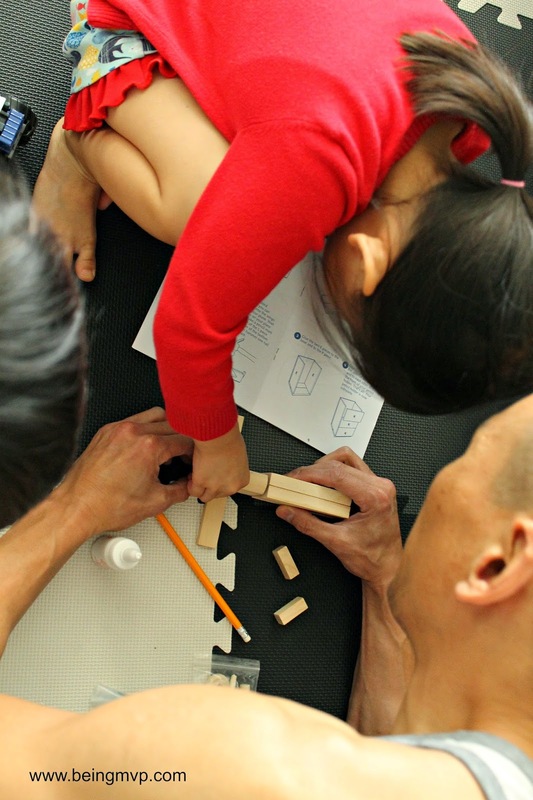 The Build-It-Yourself Woodworking Kit for Kids is a ton of fun for young children. Kenzie and Mason both like "helping" out when we are fixing or putting together things. 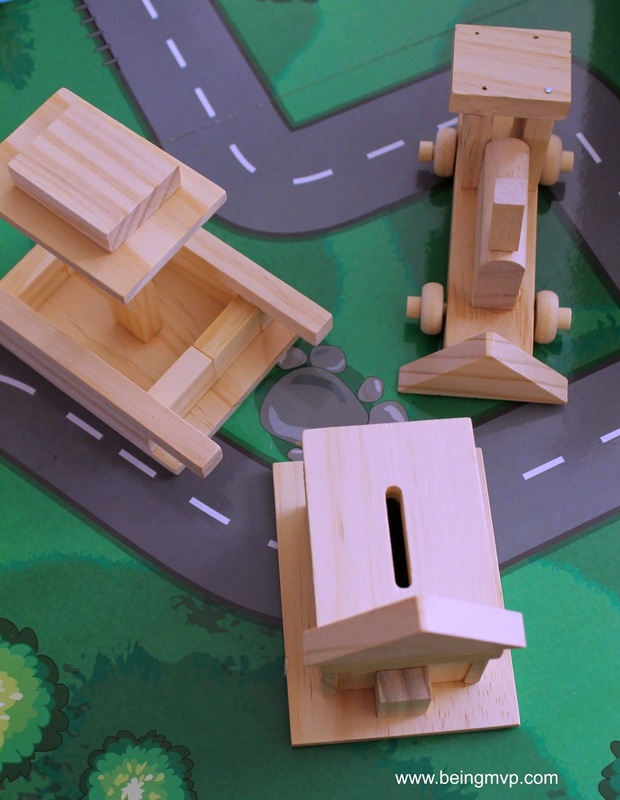 This kid includes a total of over 80 pieces of smooth pine pieces in a variety of shapes so that your child can use their imagination to build a masterpiece. There is also a guide with instructions for projects to follow along as well. The lightweight hammer is the highlight as what kid doesn't love to pound away? Check out what Kenzie built with daddy for Mason! 1. Roll out a generous amount of paper from the tabletop paper center. This is awesome because you don't have to worry about bits of paper being stored everywhere for use. It keeps neatly and stores really well. Plus your child can safely "cut" off their finished piece. Have your child draw to their heart's desire with the rainbow crayons and accent with the confetti glue. 2. After the glue dries, punch out or cut out one large and one medium circle. Using the scissors, cut out two basic ear shapes. Cut off 1/4 from the bottom of the large circle. 3. Cut off the plastic from the front of the art frame and assemble the pieces into a bunny shape and glue down: medium circle in center, ears on top and large circle overlapping medium circle a bit. 4. Place a bit of glue in the middle of the large circle and attach pom pom tail. 5. Allow to completely dry and ready to display or gift! Make sure to use the Lakeshore Learning 20% Off Coupon (expires 3/31/15) and get crafting! 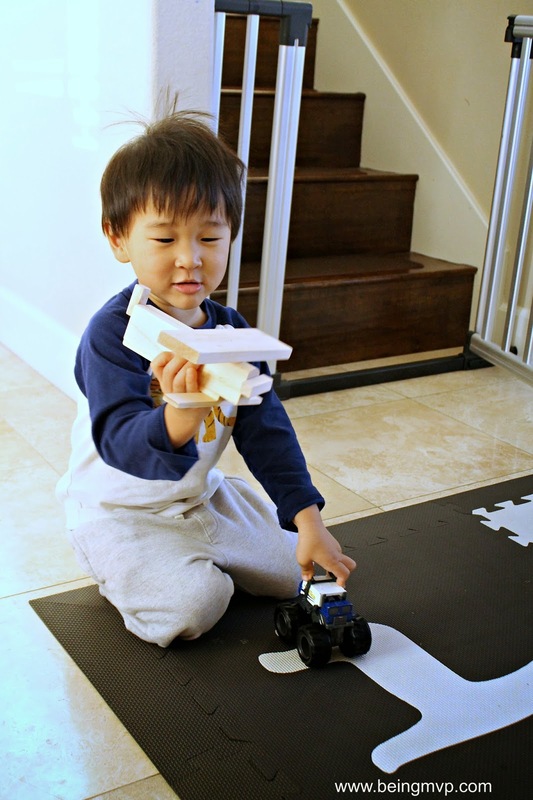 What crafts are you (or your child(ren)) itching to make this month? That's such a cute craft. 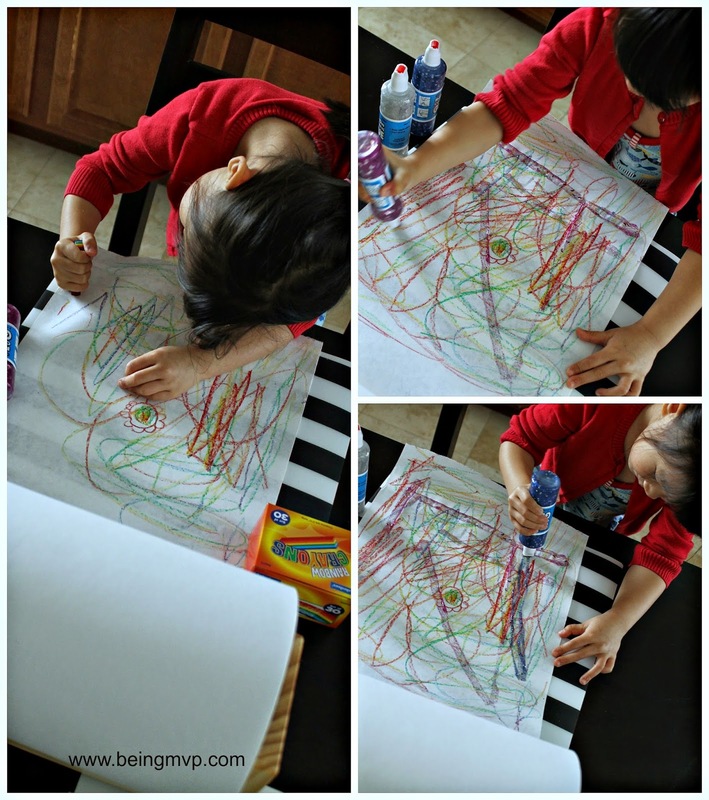 My sister used to do crafts like this with my niece and nephew. They loved it. I used to do crafts like this with my daughter. She's a little older now, so we've moved into some more advanced crafting. It's so much fun! That is too cute! My kids love to do crafts, and this is a really great one. I love the free-form coloring of this. I love all of your crafts! 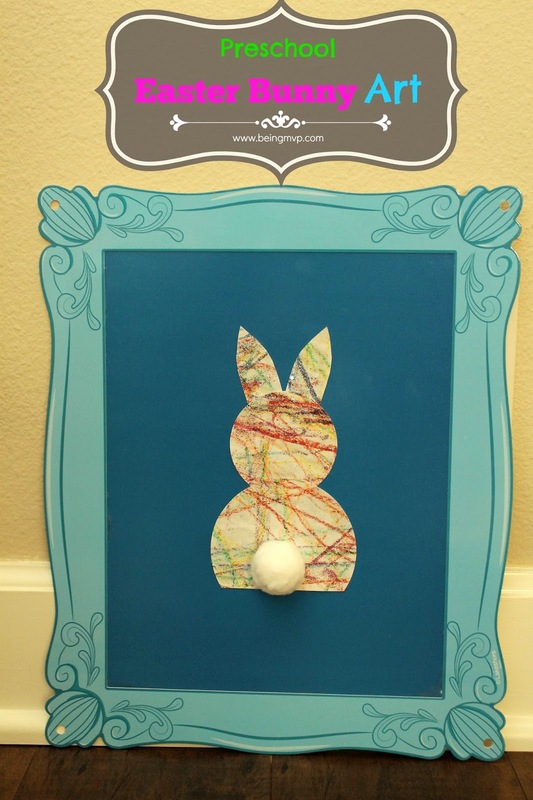 This is such a cute bunny craft for Easter and your daughter sure did a good job. I would love to make this for Easter with my niece! The crafts you featured are sooo cute and fun! I totally adore the easter bunny with a pom pom tail. What a fun idea! The Easter bunny turned out great and I love it's little tail. This craft looks like a lot of fun! I always loved used cotton balls as their tails as a kid. My youngest Bella is a craft fanatic!!! She loves to make anything and everything! Your projects turned out great! that's super cute! i bet my kids would love making these. crafts are always a fun time. Super cute. We don't really have any Easter decorations for our house, so it's time we start having the kids make them. :) Thanks for sharing! I totally love this craft! So cute! What a really cute craft idea! This would be perfect for my grandsons. So super cute! !I love that they can be as messy and creative as they want!! What great Easter decor this would make! !